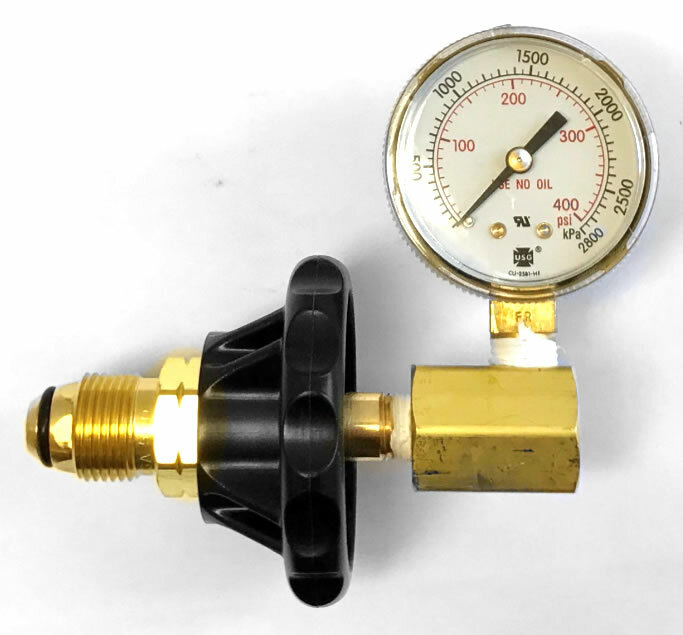 Cylinder Contents Test Gauge W/ Hand Tight - Evergreen Midwest Co.
Evergreen Midwest Co. has a complete selection of regulators and accessories. 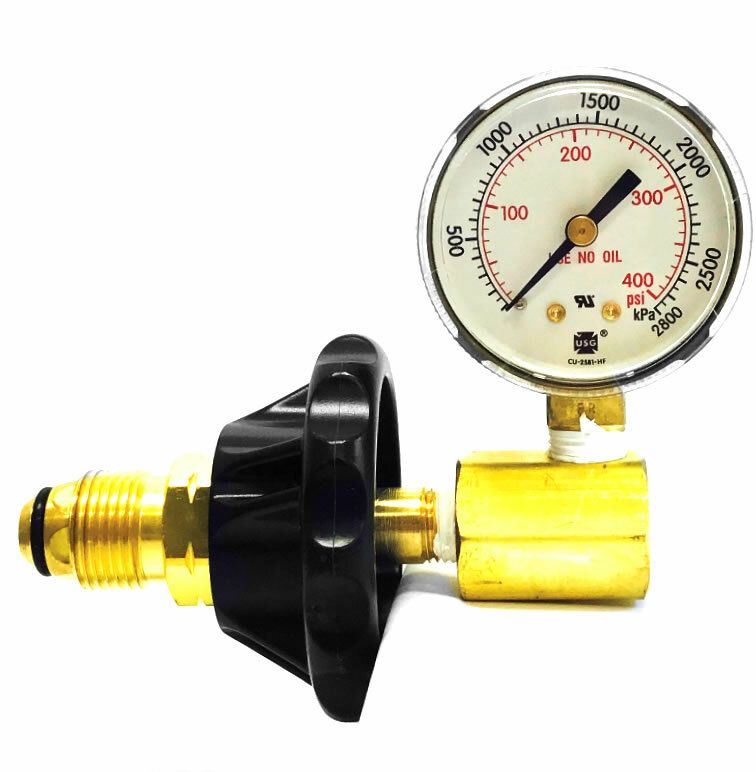 The cylinder contents test gauge is used to measure the amount and pressure levels of the contents packed within the cylinder. 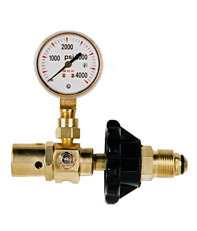 This reduces last-minute fuss of refilling cylinder contents. 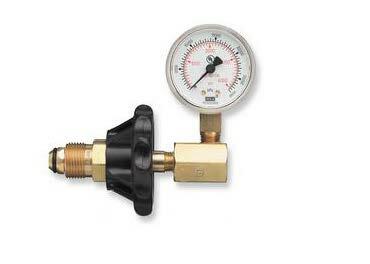 Our large face gauges allow easy visibility and hand-tight connection facilitates ease of access. 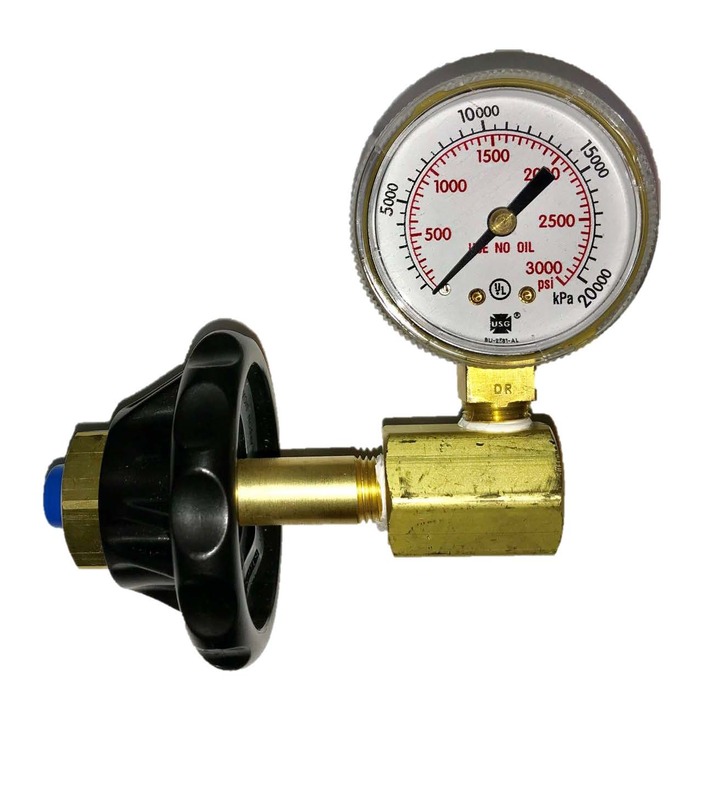 Get cylinder pressure testing gauges suitable for various gases such as acetylene, oxygen, argon, nitrogen, and helium at reasonable prices at our online store.